The Play School Art Maker app for iPad is a fun way for kids to freely create pictures, animations and story slideshows using their favourite Play School toys and craft items. They can even add their own audio narration, upload their own photos as backgrounds, and save their art to share with friends and family. Aimed at kids aged 2-6 years, Play School Art Maker is an immersive, unique offering, encouraging imagination and creativity through open play. Aimed at kids aged 2-6 years, Play School Art Maker is an immersive, unique offering, encouraging imagination and creativity through open play. Children are free to make and design whatever they like - there are no rules or timers. 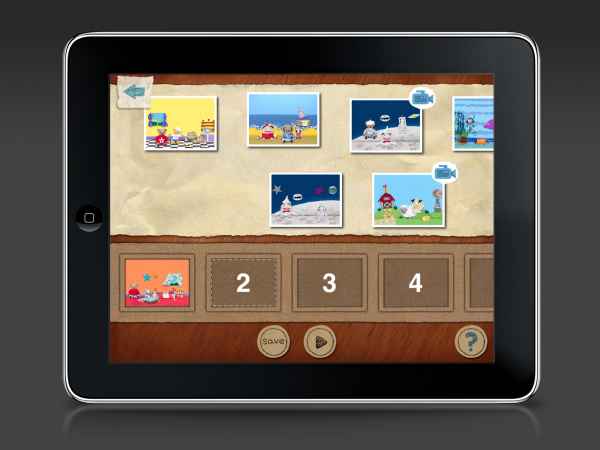 The app is quintessentially Play School, with a beautiful hand-made aesthetic and a strong focus on storytelling. Featuring all new content designed especially for the iPad, and playful sound design with the much loved Play School piano and familiar voices of presenters Alex Papps and Karen Pang, the app successfully extends the loved and trusted Play School brand onto this new platform. Recent episodes of Play School are also available to watch from within the app. With a four star rating in the iTunes store, over 135,000 downloads within Australia and over 100,000 internationally since launching in November 2011, and great customer feedback, we feel that we achieved an app with first class user experience, functionality, ease of interface, and great design for the target audience. 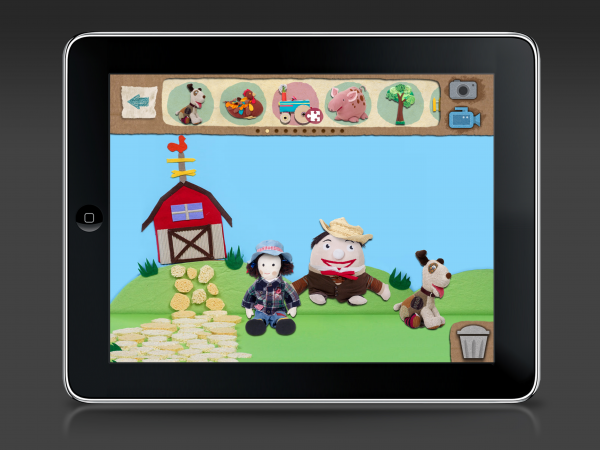 The Art Maker app is an entirely new, unique, rich interactive experience developed specifically for the iPad and not replicated anywhere on the Play School website. The app is tightly aligned with the Play School brand capturing the look, feel, aesthetic and philosophy of Play School in its design and interactivity. The app appeals to the whole Play School demographic (2 – 6 year olds). It’s easy for young kids and also offers varying levels of complexity for older kids in the shoulder of the demographic. >5-6yo – can use the more complex feature to make their own story slideshows from the pictures and animations they’ve saved. >The app is a useful tool for children needing help with learning speech patterns – e.g. > worked with an Early Childhood Media + Technology Consultant – we sought their advice during our early brainstorming phase, right through to final testing, to gain insight to how young children and their parents typically use iPads and apps. The target audience for our marketing strategy was children who watch Play School or use the Play School website, who have an iPad in their home or have other touch devices (eg; iPhone) and parents whose choose Play School (TV or online) for their children, who have an iPad. With this in mind we targeted our promotional activity to Play School on ABC1 and ABC2. Without the budget to activate external advertising, we relied on publicity and cross promotion throughout ABC including online, social media channels, national radio networks, and TV promos. Regular promotion through the iTunes store was also undertaken. We’ve received incredible reviews from across the world including China, US, Turkey, Poland, Russia and Sweden. This category relates to applications associated with children and early childhood development.